I didn’t know what it was going to be like….Christmas Eve and Christmas Day not spent the way I’ve spent it for the last 26 years. Would it even feel like Christmas to not go to a Christmas Eve service, be at my parents’ house, eat corn beef buns, read the account of Jesus birth from the Bible, spend time opening presents from my family….could it still feel like Christmas without it being a typical Christmas? I’ve been nervous about it since Lindsey and I planned our holiday. But, I was also excited…excited to share it all with Lindsey, excited to find a way to enjoy both families together….excited to try something new…excited to begin to create our own traditions. Ouch. I was like, really? 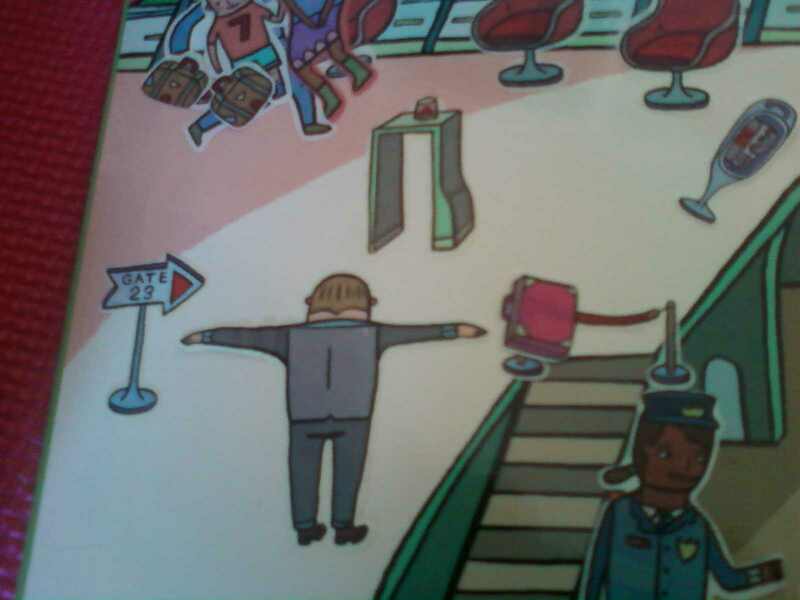 Why do they have to put the guy with his arms up going through security in the kids play book? That’s like the worst part of going to the airport! (I just had to take a picture of the proof of the constant reminders of my inability to escape my fear of going through security!) Yes, it’s an irrational fear, but who wants to feel like a criminal just because they want to travel somewhere? I surely don’t, and the thought of even more security measures made me feel like flying anywhere was the last mode of travel I’d like to use. She was a teenager pledged to be married in the proper way, but ended up pregnant before that happened. Everyone judged her. She was experiencing something different than she knew, different than anyone around her, different than anything she could even comprehend, but she moved forward with joy and purpose. Knowing in her heart what the right thing was, knowing she had to be brave, and she was. And they called His name, Jesus. There are a million examples of this bravery in the Bible, in history, and even now all throughout the earth. There are millions of people too, that aren’t ready or able to embrace or pursue this kind of bravery in life. I want to be one who does pursue it, who does attempt to recognize the challenges I’ve been given to face in life and continues to pursue a life of purpose and joy anyway. It’s Christmas Eve. 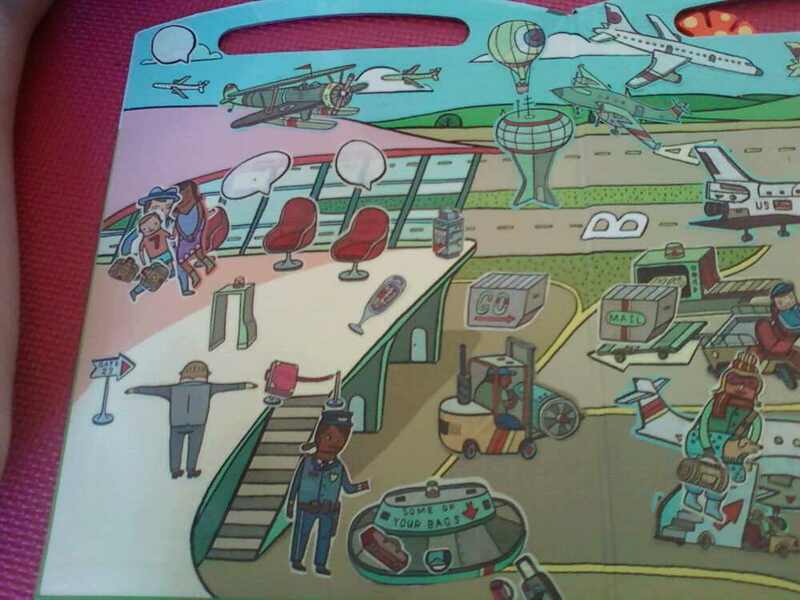 I made it through security at the airport yesterday with no issues….none of my worst fears came true. I’m sitting here in Georgia enjoying this holiday, Lindsey’s family, and, of course, Lindsey herself. Yes, things are different, but I’m so thankful that I’m actually enjoying this change…finding beauty in the new, in the different. And as I think about the new year coming, I’m thinking about my deep desires to live with courage, to use my voice, and to live with vulnerability and hope. I am so thankful that God used Mary in such a vulnerable special way to bring Jesus to earth as a baby (also special and vulnerable). I’m thankful I can enjoy such a special time spent celebrating Him and the wonderful gifts God has blessed me with. And because of that no matter where I am, how I feel, or what I do this Christmas….it still feels like christmas time to me….it still brings that magical wonderful feeling of joy to my heart. I want to go to Italy some day. And Greece. I love the Travel Channel because I can see some of the places I want to go, so it makes it easier to picture myself in them. Today I have the day off of work. (and tomorrow as well) It would be a lot nicer, I think, if I hadn’t had a long frustrating dream about work just before I woke up this morning. I dreamed that I fell asleep on my day off and woke up at work. I was so confused in the dream, and no one was happy that I had been sound asleep at work. Makes no sense at all! Somehow no one understood that I had no idea how I got to work in the dream. Ha! Thankfully Lindsey gets off work at 1:30 today, which is only 3 hours away. We’re going grocery shopping, and I enjoy grocery shopping when we can go together. :) We’ve got the rest of the day to relax, and I’m thoroughly looking forward to it. I don’t feel like being by myself today. I am enjoying sitting by the Christmas tree though. I feel like this holiday season is rushing by. It always does, and it’s always a sad thing that it goes by so fast. Lindsey and I are celebrating our Christmas together this weekend and then we leave for Georgia next Thursday. We’ll spend 6 days in Georgia (3 with her family and 3 with mine), and then come back home to our dogs and our city. I know that we have many enjoyable moments still ahead of us to spend celebrating the holidays, but thinking about it right now just reminds me of how quickly it’s all going to be over! Thankfully we’re planning a vacation for sometime in January and a trip to see the Starnes family in February, so I’m reminding myself that I have so much to look forward to, but I still don’t like thinking about the end of things that I’ve been looking forward to. That’s the dilemma sometimes of planning wonderful things! At some point you have to think about the end of the wonder. I suppose that comforting one’s self with thoughts of new wonderful things can be helpful, but I think that embracing the “end”, finding peace despite the rushing by of time, and learning to be present in each moment instead of letting my mind constantly wander into the future can be and should be a skill set in which I become an expert. I’m quite sure somewhere inside of me that being proficiently able to be present even in the “end” of a season will bring a richness to my life that I can’t know when I’m lost in the rush of time and thoughts about the ever approaching future. And that, my friends, is the goal of my heart and mind over the next 2 1/2 weeks. It is an adventure for my heart that I’m not sure how to measure, but I am sure it will be the beginning of a journey worth taking. For now, the tree lights are glowing, their are some presents I can wrap, the dogs would like a walk, and even the sunshine is waiting to be enjoyed, so I will stop thinking about the future and give this “being present” thing a try. 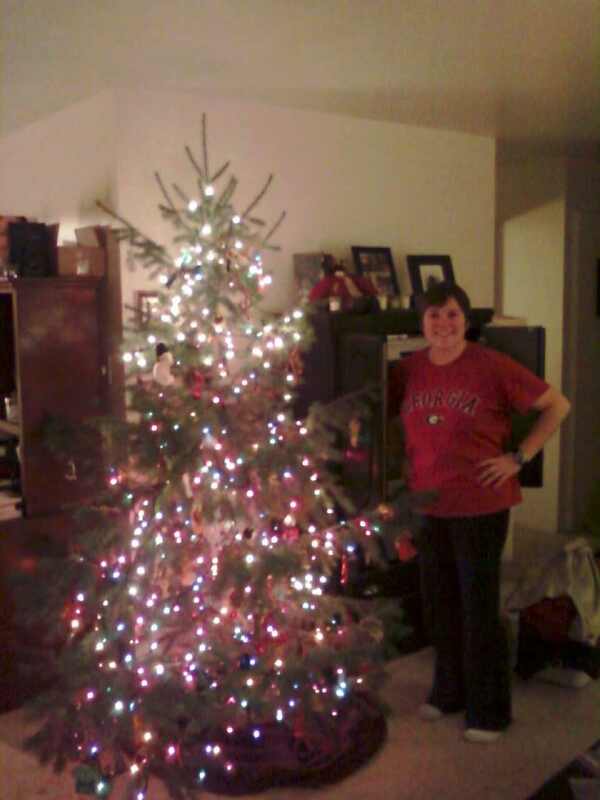 Well, we finally got the tree decorated as well as the entire rest of the house! Our apartment feels like a wonderfully festive space now. Last night we watched a Charlie Brown Christmas while decorating the tree. Then we set up the nativity, strung up more lights over the fireplace and the sliding glass door in our dining area, and hung our stockings over the fireplace. Everything looks lovely. I’m kind of sad that we leave for Georgia in 2 weeks because I feel like Christmas will be over before I’m ready for it to be! For now, though, I’m just trying my best to soak up every moment. Our adventure in the forest cutting this down turned out to be a beautiful addition to our Christmas cheer at home. I dreamed it was about to snow a lot here last night. I hope my dream comes true! There’s a chance we might get some on saturday, which would just be lovely of course. For now, I’m just going to enjoy the rest of my day off, enjoy taking care of ben for the next two days, and soak up every evening I get to enjoy with Lindsey. :) Sometimes I think that just being really present in the day and the moment is a really great way of living a better story with my life. It’s something I’m really not good at, and something I intend to keep practicing! I only got 3 something hours of sleep last night. I just couldn’t sleep. So eventually I got up and started doing dishes and cleaning the house. I finally stretched out on the couch at 6am (when my alarm was set to go off in the bedroom), intent on laying there for 5 minutes. Lindsey woke me up 30 minutes later and I had to rush to be ready for work on time. I just don’t understand why when I need to sleep I can’t and when I need to be awake I fall asleep. I keep telling myself that I have the next 2 days off of work to sleep as much as I please. Hopefully that will be enough to make me feel somewhat rested again! After I got off the bus this morning, I still had about 20 minutes of walking to do to get to work. My little travel companion, Bo, loved that part. Of course, he’s just glad he gets to come to work with me instead of having to sit at home with his brother by themselves all day. I, however, was worn out by the time we got here. I was walking so fast to make sure I made it on time and carrying a heavy back-pack. It was great to be outside though. The sun hadn’t come up yet and the breeze was wonderful. I would have been really cold had I not been walking like I had somewhere to be (cause I did have somewhere to be), but as it was it was really quite nice. I got to work feeling like I had already conquered a lot and it was only 7:30! Hopefully the rest of the day will be rather quiet because I want to have at least a little energy for the parade of lights tonight. I’ve heard it’s a really fun parade, and I’m looking forward to the huge reindeer balloon float that I’ve been told comes right before Santa. Sounds like fun, huh? :D I’ll definitely take some pictures to share! In other news, Lindsey and I both got hair cuts last night. 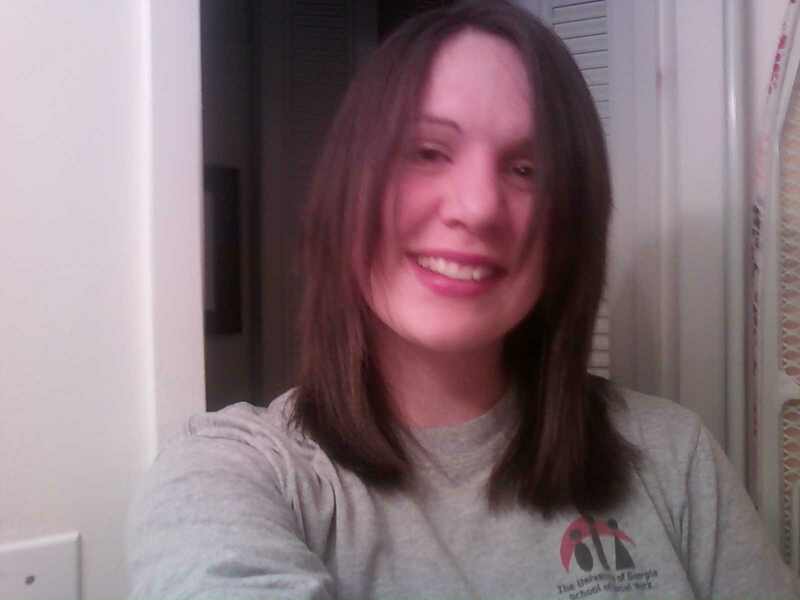 Mine turned out to be shorter than I had expected, but everyone who’s seen it decidedly likes it, so I’m hoping that’s a good sign. :) I will try to post a decent pic of it at some point. What are you doing this weekend?